A £100m donation announced by Cambridge University today is the largest amount a donor has given to an unconnected charity in at least a decade, the academic Beth Breeze has said. The donation, from David and Claudia Harding, is thought to be the single biggest gift ever given to a UK university by British philanthropists. Breeze, director of the Centre for Philanthropy at the University of Kent, told Third Sector the donation was unusual in that it had not been made to a foundation or charity the Hardings had a stake in, such as a personal foundation or one of which they were trustees. "Typically, eight and nine-figure gifts are banked into foundations for later distribution rather than handed over to an operating charity," she said. Breeze, who compiled the annual Coutts Million Pound Donors Report until it was published for the final time last year, said that in the decade in which the study ran the largest similar donation she had come across was £75m made by the businessman Leonard Blavatnik to Oxford University in 2012. 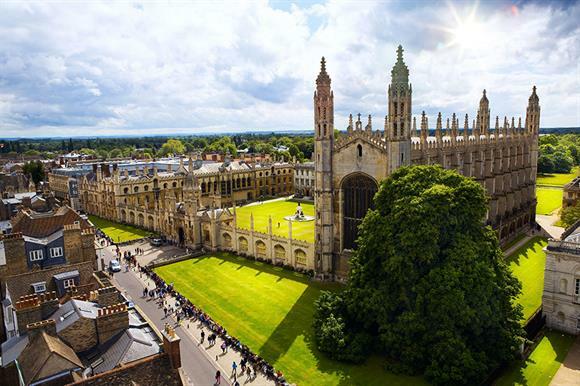 In a statement released today, Cambridge University said the gift would propel a £500m fundraising drive aimed directly at increasing financial and wider support for students at Cambridge. Of the £100m, £79m will go to create the Harding Distinguished Postgraduate Scholars Programme, which would provide fully funded scholarships for the most talented PhD students, the university said. Another £20m would fund the Harding Collegiate Cambridge Challenge Fund, which will work to encourage further donations from alumni for financial support to undergraduates, it added, and the remaining £1m would be set aside to stimulate innovative approaches to attracting undergraduate students from under-represented groups. Professor Stephen Toope, vice-chancellor of the university, said: "This extraordinarily generous gift from David and Claudia Harding will be invaluable in sustaining Cambridge’s place among the world’s leading universities and will help to transform our offer to students. We want to attract, support and fund the most talented students we can find from all parts of the UK and the world." David Harding, who is a financier and who studied at the university, said: "Claudia and I are very happy to make this gift to Cambridge to help to attract future generations of the world’s outstanding students to research and study there."